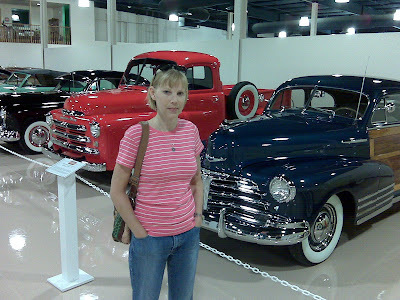 There's a new car museum in San Marcos very close to Jamie's folks' house. It's a surprisingly good museum which just opened yesterday. 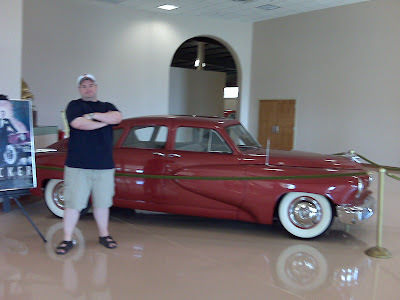 Me in front of the elusive Tucker. One of 51 made. One of 48 in existence. This one has never really been driven. Something like .04 miles on the dial. It's tough to gauge the value on such a thing, but it's an extremely rare car. Yes, that's a poster from the movie. There was also a TV showing the movie or clips from the movie. 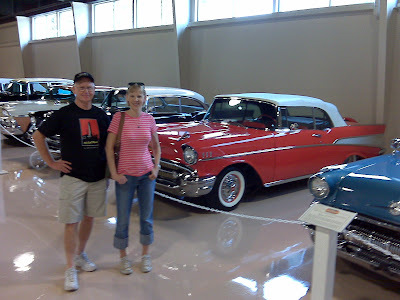 Jamie and her dad with a 57' Chevy. American classic. I completely forgot which car this was. But Jamie improves every shot she's in. 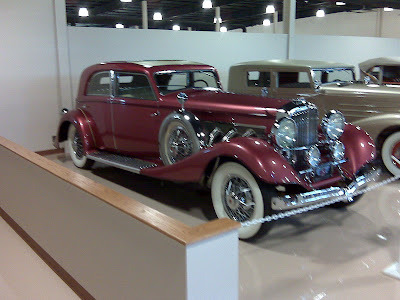 Back when cars had style... a beautifully restored Duesenberg. Steampunk was apparently a bit real in the 1920's. Austinites will be glad to know the place is only about a 25 minute drive from our door, so do your math from there. Jamie had tried to stay behind and take a nap rather than go to the museum. I called shenanigans. I didn't mean to look sad - I was actually having a good time. I think it was more of a reflection on having my picture taken. The museum was quite fascinating.